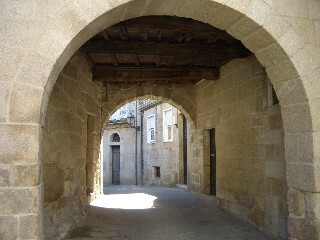 Here are a few more photos of Allariz in the heart of Ourense. 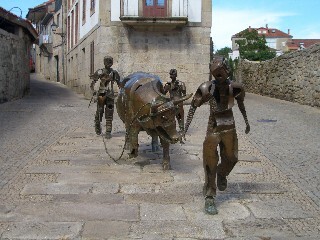 This is certainly a town worth visiting if you are in this part of rural Ourense and its narrow cobbled streets, that lead to the monastery at the top of the town, look like they have been there for ever. If you visit Allariz you will probably be the only English, French or German speaking tourists there. You are off the "well beaten" tourist trail. 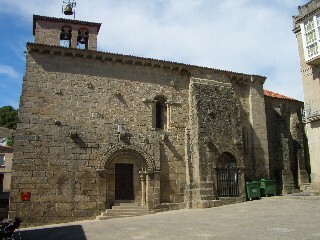 There are a number of churhces in the town of Allariz and most appear very old. The old district is very attractive with narrow streest and arches like this one. None of the pictures manage to convey just how steep the incline reaaly is. 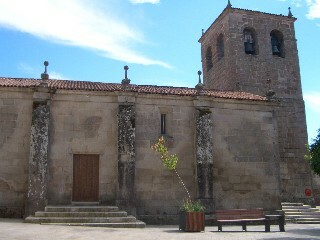 Another church set in its own little courtyard. On a hot day you take plenty of time pausing to look at these buildings as you climb or descend your way through old Allariz. 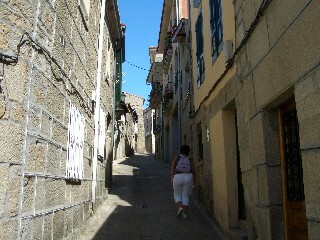 This narrow street may not look that steep, but it was. The medieval sections of Allariz are all bult in to a hill, although you can park at the top of town too. A final photo, again in the old part of Allariz. 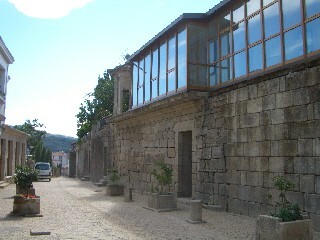 Bars, shops and cafes were located on the plateau where the monastery is situated.